for 2018-2019. Thanks for Your Support! 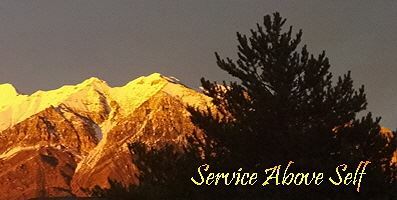 Orem Rotary is a local service organization operating under the auspices of Rotary International. Rotary is a worldwide organization of business and professional leaders that provides humanitarian service, encourages high ethical standards in all vocations, and helps build goodwill and peace in the world. 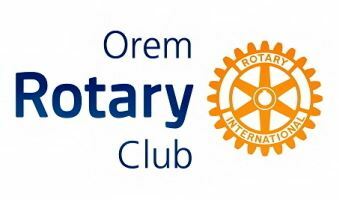 Orem Rotary meets each Wednesday at 12:15 for lunch, club business and interesting speakers from the community. We meet for approximately one hour. We invite anyone interested in Rotary to visit our club meetings. Join Us For Rotary Meetings! Orem Rotary Meets Each Wednesday at 12:15 PM, except for fifth Wednesdays. When there is a fifth Wednesday in the month, Orem Rotary will not have a luncheon that day. Meetings last for approximately one hour, with lunch, club business, service projects, and interesting and informative speakers. We meet in the patio room at the southeast corner of the building. PROGRAM: Our speakers will be our Youth Linc students. Atle Tessem and Gae Hill.